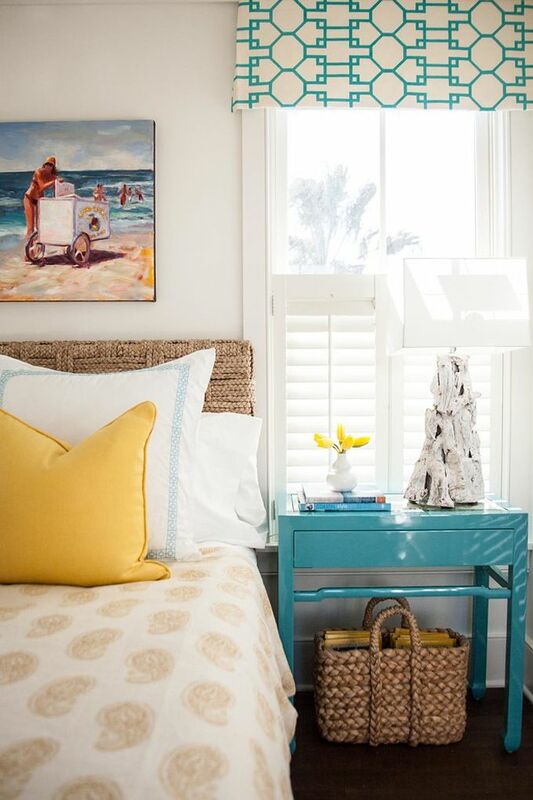 I definitely needed today’s cheery jolt of turquoise and yellow home decor inspiration because I am craving sunshine. Just as I was bragging about a warm winter, the temperature dropped and we got a ton of snow. Earlier this week I cleared the driveway and it was fairly cold (-29 Celsius) and windy. No matter what direction I tried to blow the snow, I ended up with a face full of it. 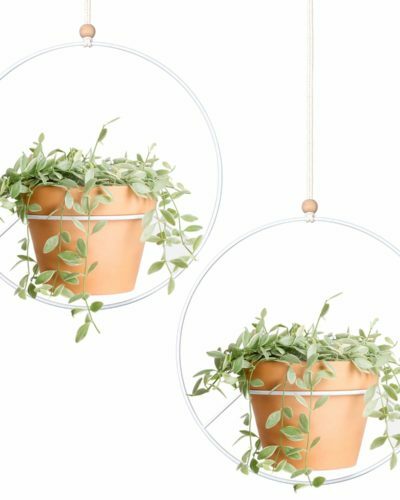 When I was finally done, I was so chilled that I just crawled to the sofa and curled up with a cup of tea and treated myself to a little guilt-free Pinterest scrolling. I pin so much, so sometimes I like to go back through my own pins and get re-inspired. 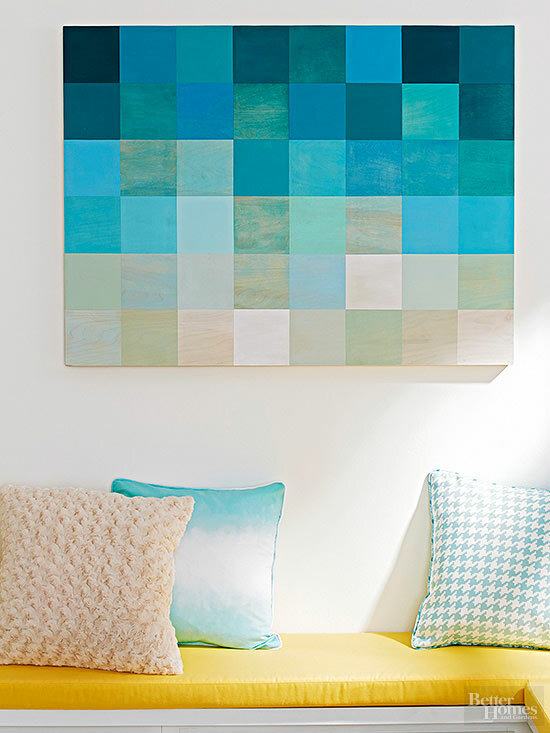 This time my eye was drawn to a particular color palette: turquoise and yellow home decor inspiration! 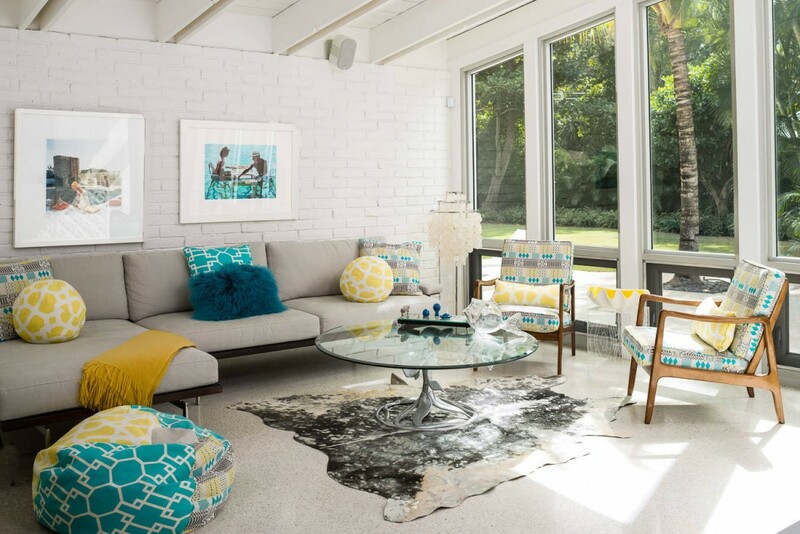 Even though I don’t have a lot of yellow in the lakehouse, I’ll admit that yellow complements aqua home decor so beautifully and it makes such a sunny impact in home decor. 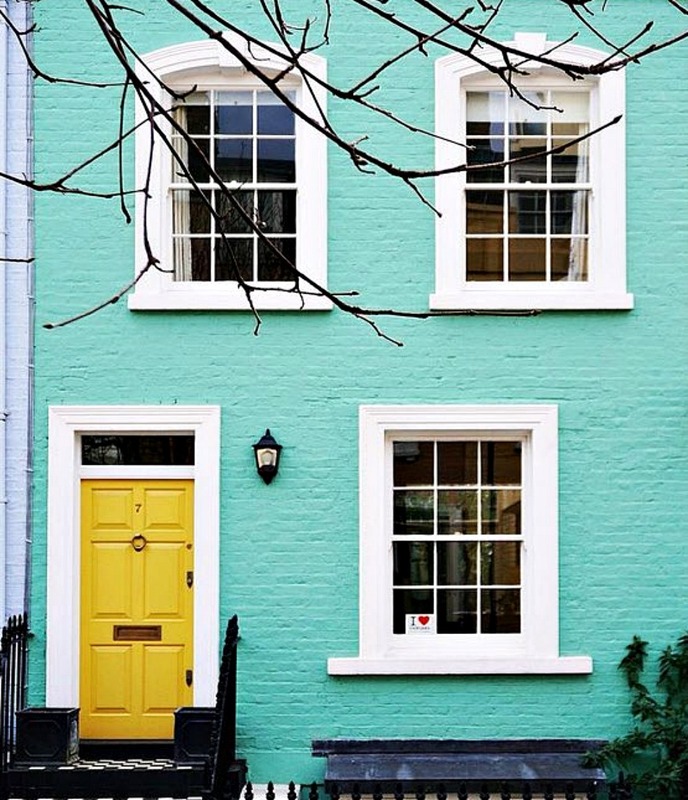 I think this aqua brick house, with its happy yellow front door (captured by Alex on the Road), might be my favorite turquoise and yellow home decor inspiration of all time. These people are my people and it’s a shame they live in London because I know we’d be fast friends. How could you not be ridiculously happy coming home to this colorful house exterior everyday? It makes me want to paint our garage aqua instead of the charcoal grey I have planned. 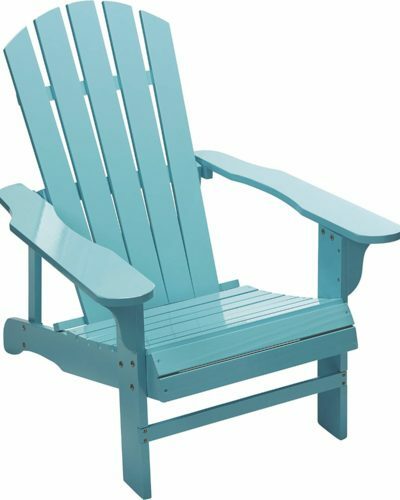 As we moved from the townhouse to the lakehouse, I edited our belongings and, in the de-cluttering process, weeded out a lot of the warmer colors in favor of a cool, watery whole home palette of blues, aquas and greens. To me, the cool colour palette is calming and relaxing. There are so many different shades of blue, green, and turquoise that in real life the palette feels quite lively – something difficult to capture on camera, which makes many of the different shades look the same. Despite my rigorous editing, I did, however, keep small doses of yellow and orange decor so you’ll find only a tiny bit of turquoise and yellow home decor inspiration around here. Despite my best editing efforts, I guess I can’t help but love a little bit of yellow or orange paired with my aquas so I rounded up some turquoise and yellow home decor inspiration to brighten everyone’s day and hopefully spark a little inspiration. 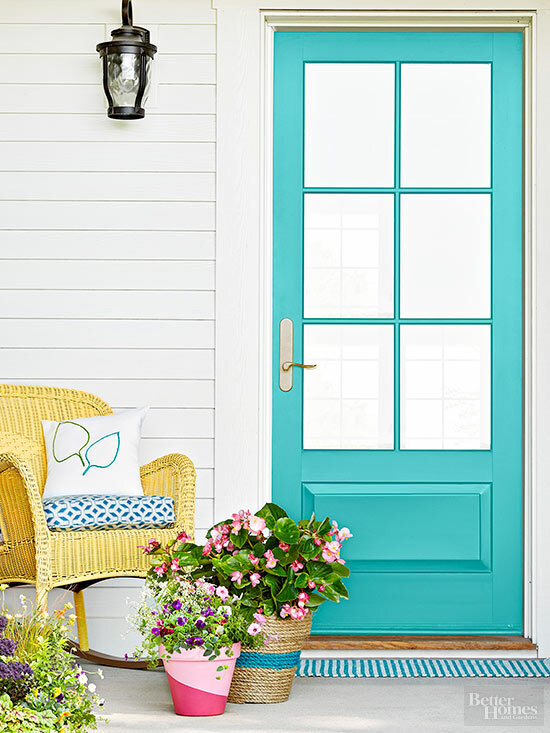 This aqua front door looks a lot like mine, so I think I might need to track down a yellow chair for beside it. Hmmm, maybe I should paint the siding white instead… I haven’t been able to paint the exterior of the lakehouse for two years and now I’m starting the waffle. Morgan Tinker’s home was featured on A Beautiful Mess awhile back and I started pinning her home like crazy! There are so many reasons to love Morgan’s style: she dyed a slip-covered Ikea sofa turquoise (awesome), has a gorgeous mint kitchen with retro touches, and has an enviably art collection. 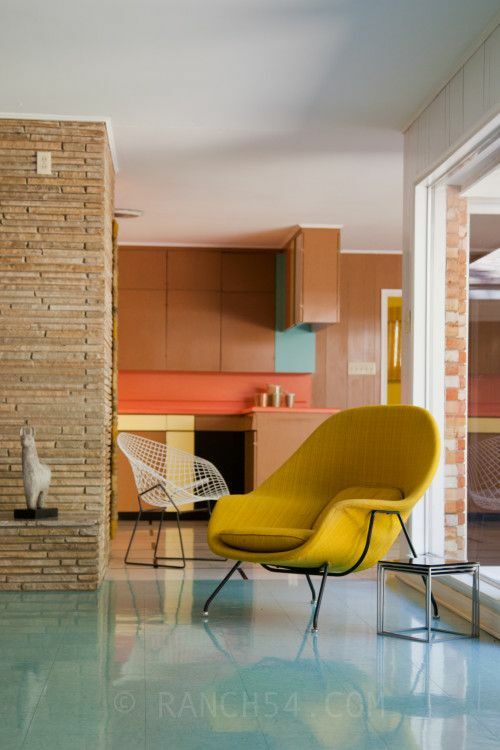 And that retro mustard chair with hits of turquoise! The room below is from a house tour featured in Style at Home that I just love. The home owners have a mint green stove and fridge (!!!) which I like to drool over from time to time. 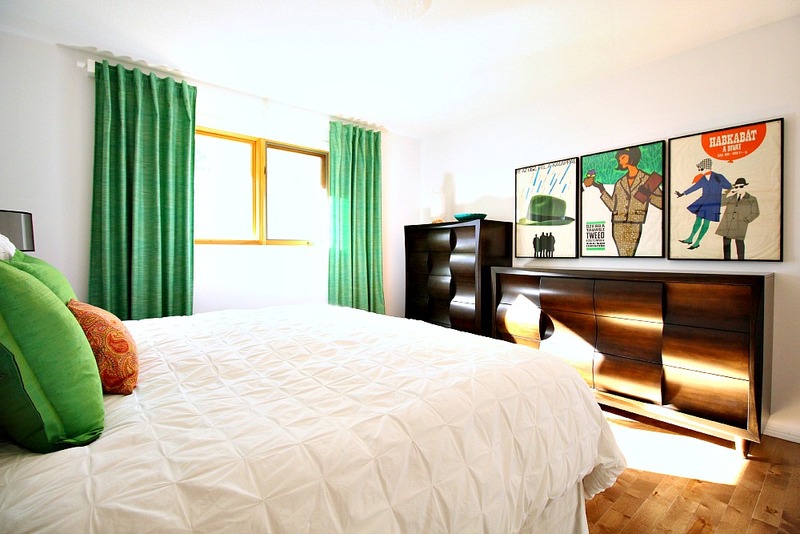 The home is quite colorful and the bedroom boasts a cheery colour palette with heavy doses of teal & yellow. 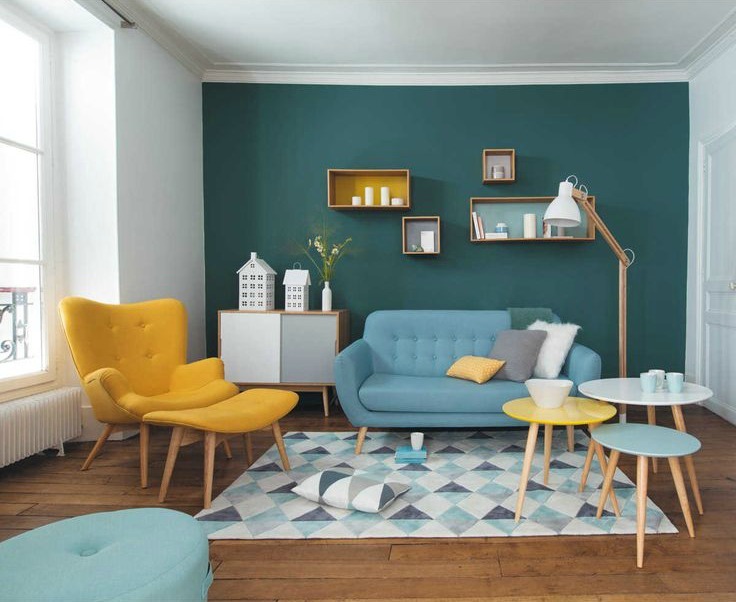 The next space, from Maisons Du Monde, is likely a staged space but look at the perfect pairing of teal and yellow! 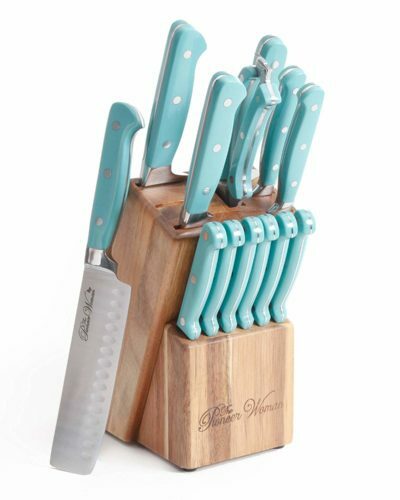 I love how they mixed all of the different shades of teal and aqua. 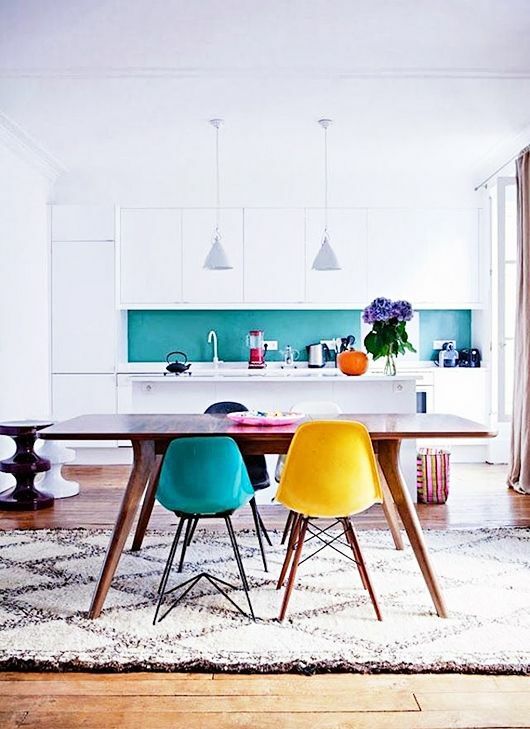 A mustard yellow chair looks perfect against turquoise floors! Why, oh why, do I not have turquoise floors anywhere? I was really smitten with the aqua floor in the townhouse laundry room. 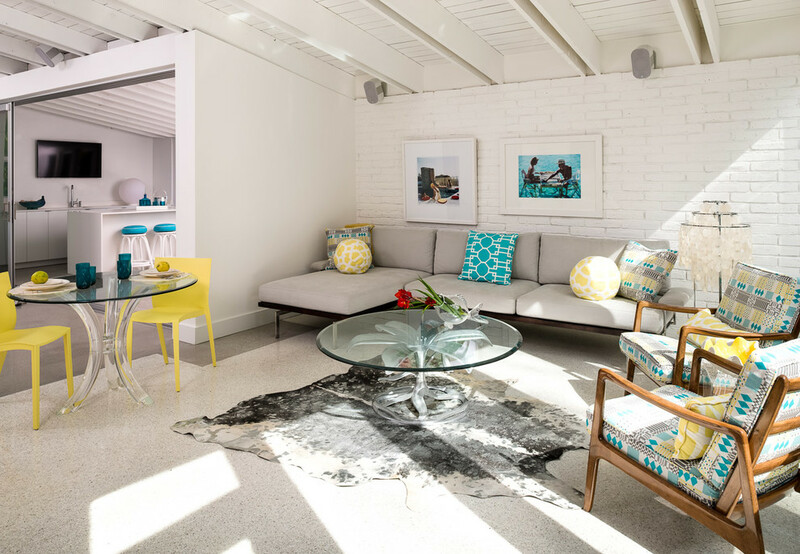 This mid-century modern home below is very colorful, but the palette in the living room is the most reserved of the entire home, offering up mostly yellow and aqua on a neutral background. I love how spacious the room feels, thanks to light coloured walls, floors and furniture – plus the big windows don’t hurt. All white kitchen + pops of colour is a look I don’t think I will ever tire of, no matter the trends. 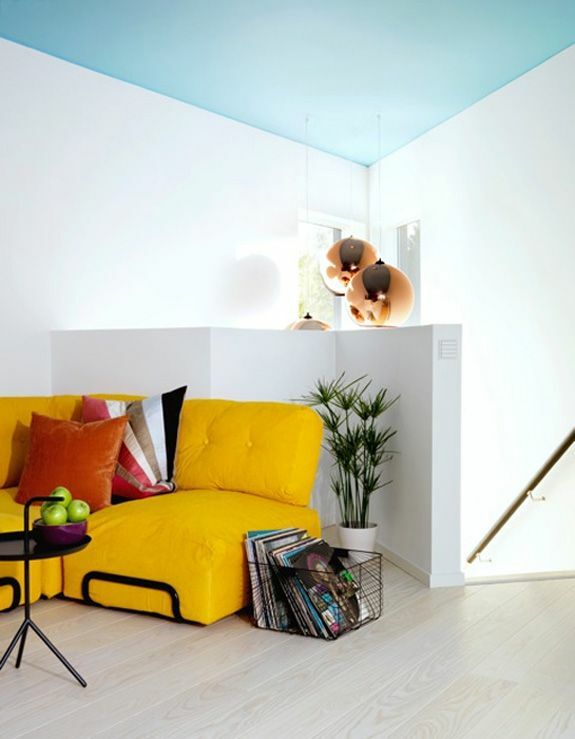 A different spin on this color combo: a bright yellow squishable sofa paired with an aqua ceiling. I’ve often been tempted by an aqua ceiling because I feel like it must really bring the outdoors in – like you’re sitting under the sky on a bright day. 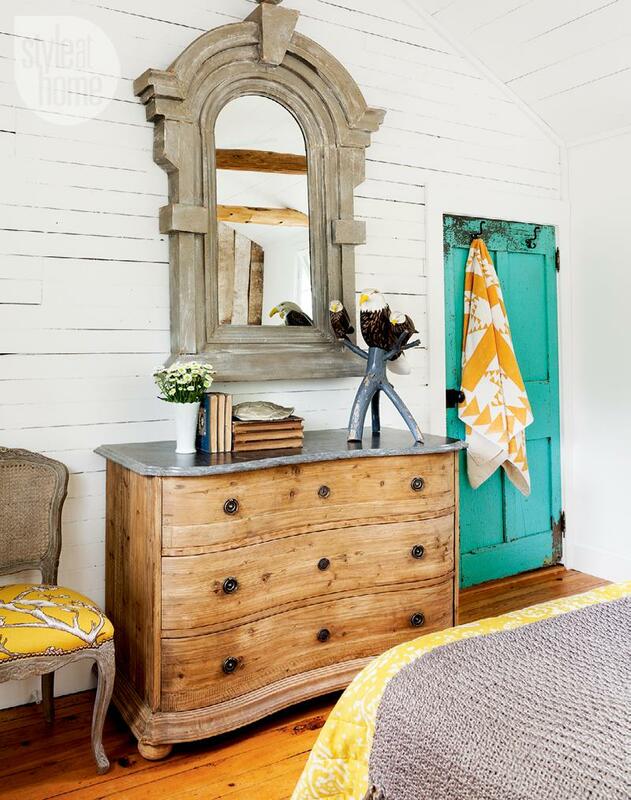 The artwork sets the tone in this bedroom, which pairs bold hits of turquoise with a lot of textural neutrals and just a tiny slice of lemon. 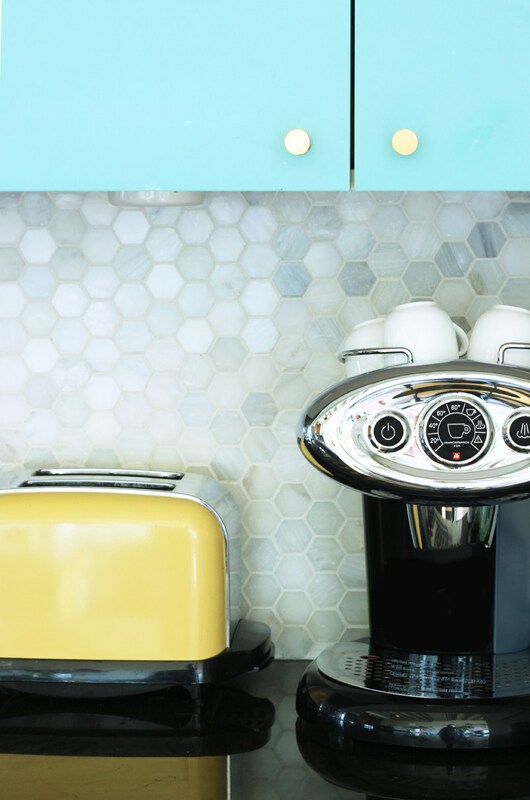 A yellow toaster looks cute in Melissa’s kitchen (which boasts gorgeous aqua cabinets). Sometimes it is all in the accessories! I am so smitten with this square art, maybe because it reminds me of a painting I did, ages ago. 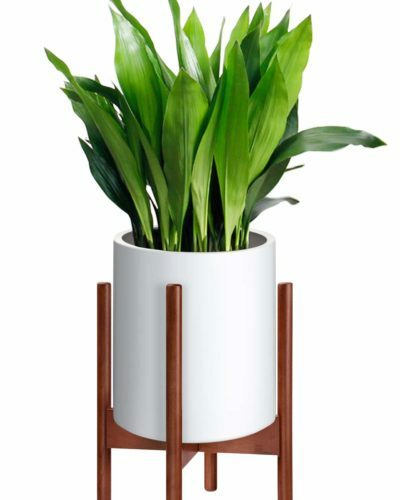 What a simple way to bring some colour to a space – and the wood grain peeking through the lighter colours has such a subtle, organic feel. The bright yellow bench cushion under it is perfect. The spaces above all offer a BOLD burst of saturated colour, but this yellow + aqua pairing can be so soft and subtle too. 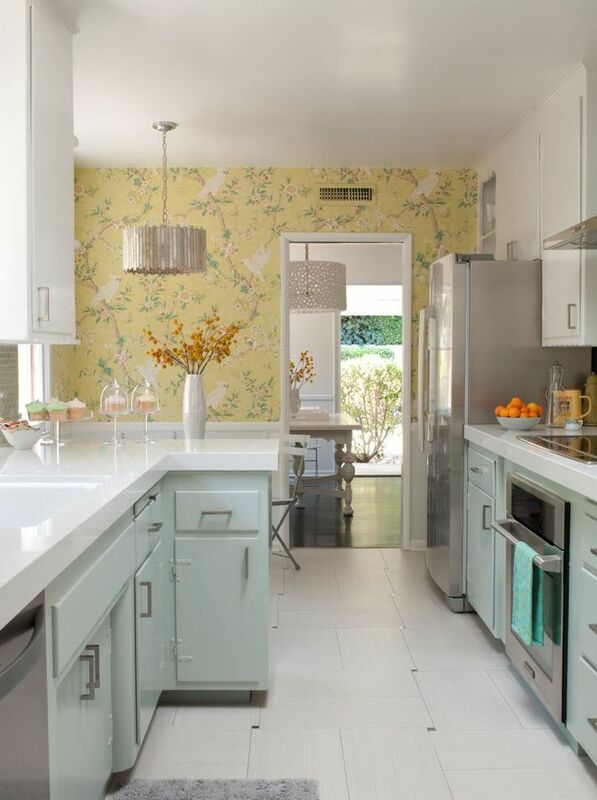 A slightly mellower take on this colour palette, this kitchen boasts soft mint cabinetry and the prettiest yellow floral wallpaper . 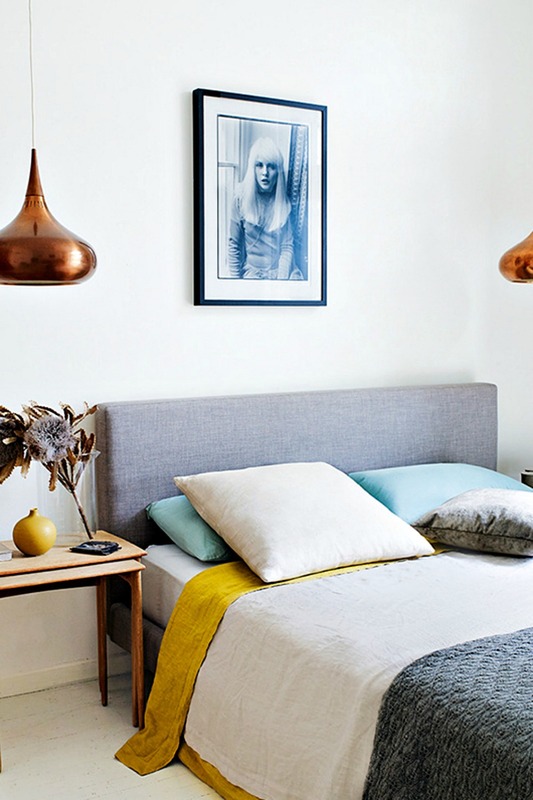 In this bedroom, pale aqua pillows and a few mustard accents punch up a room of neutrals – and look so rich with those copper pendants! Which space is your favorite? I hope you loved this turquoise and yellow home decor inspiration as much as I did! Can’t get enough aqua? 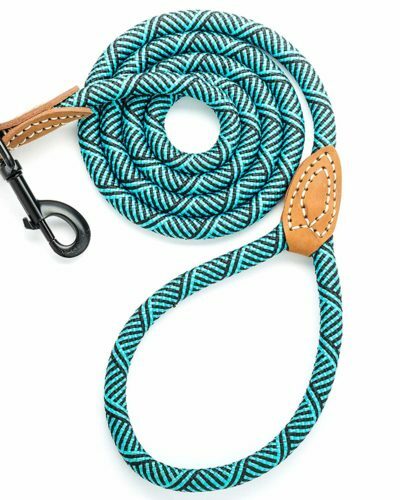 I have a whole Pinterest board devoted to all things aqua, plus another one that just features pretty colour combos. These are lovely! Every picture had me drooling more. 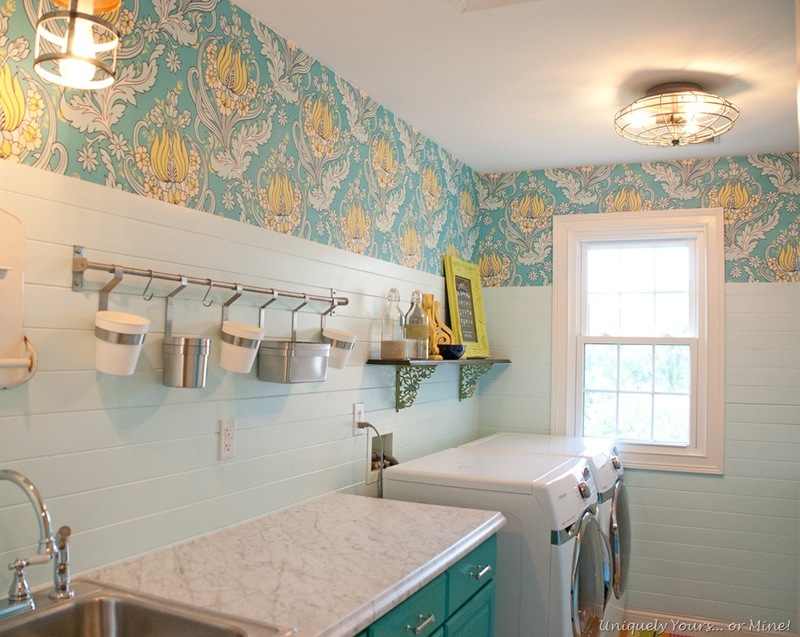 And then that last pastel aqua and yellow kitchen had me rethink my whole house… I think I need more yellow in my life. I was drooling too! 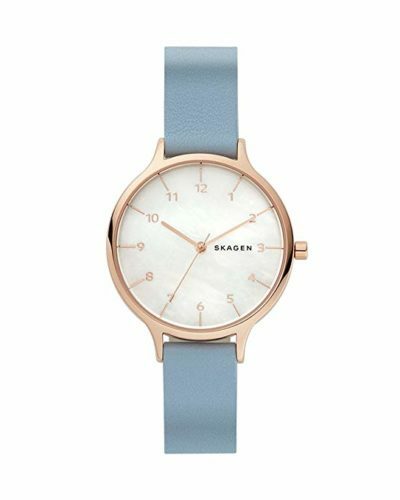 There's something so fresh and summery about this combo. I like a lot of them, but surprisingly it's the kitchen with the wallpaper I love and I normally hate wallpaper. I know – me too! I am not the biggest wallpaper fan but every now and then a room makes me rethink that stance. Beautiful! I have a Pinterest board for bedroom colour inspiration that looks much like your images here. I love varying greys with yellow and was seeking that but the aqua kept appearing in there, too. Such a lovely combination. Greys and yellows pair so well too! I remember the townhouse bathroom felt so blah until I added that bright yellow painting I made but then it still felt too stark until a little thrifted painted of a beach made its way in there and then it felt so perfect. I love when a color combo just "clicks" and feels right. I love the photos in this post! 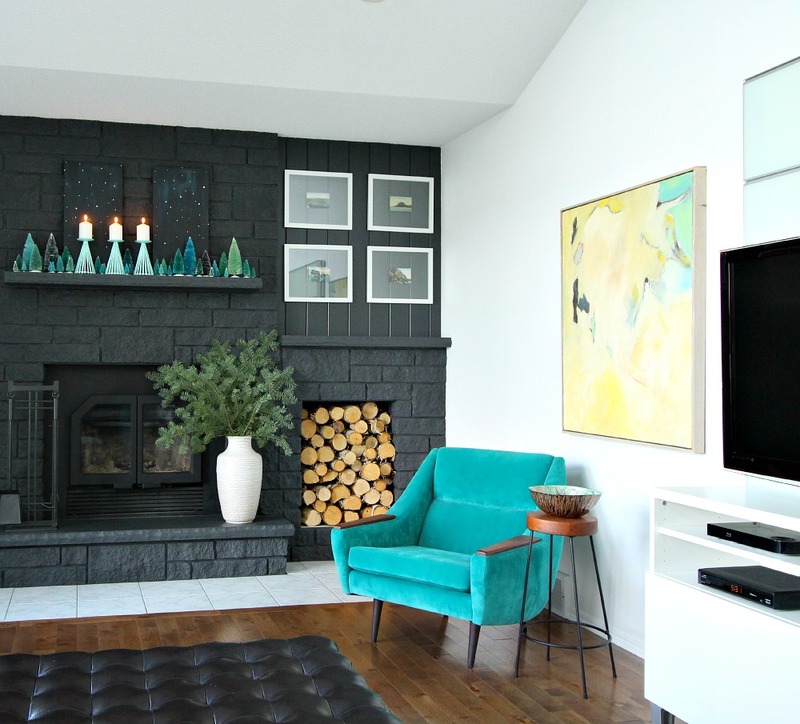 Our living room is done in teals, turquoises, and yellows, with a little orange thrown in. Our sofa is a dark teal, and we have a pair of yellow chairs opposite it. We are really enjoying the color combination. You are TEASING me again with those beautiful dining room chairs! I'm still so in love with them and how the whole space turned out. I remember back when you first did the mood board I pinned it and was trying to convince my Mom to adapt it because it's a mellower, richer version of what I go crazy for. You did a beautiful job with the living room and dining room area – it's magazine-worthy, for sure! 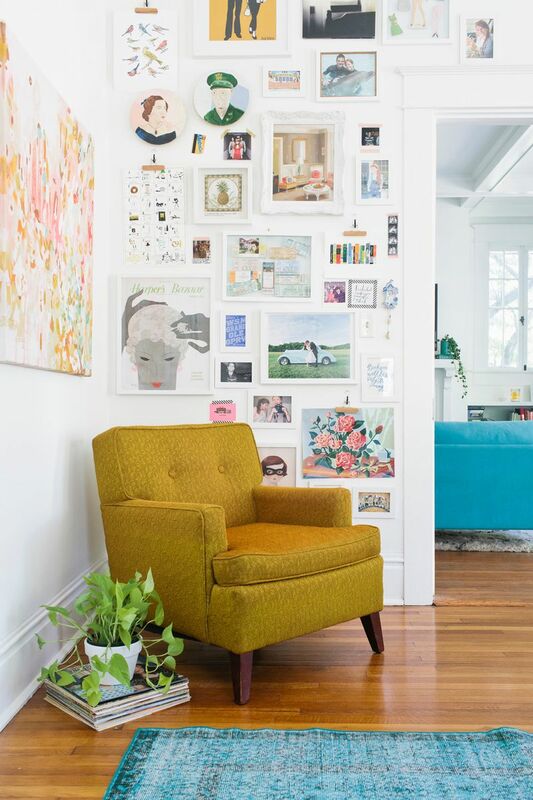 I love love love the yellow painting in your living room! But the green forest landscape ones are my absolute favorite! And yes, beautiful inspiration! Thank you! I picked out the yellow painting and Hubby picked out the green forest landscape one when he visited his family alone once. But Hubby's Grandpa is so talented, all of his work is gorgeous. You could pick one blindfolded and still pick a winner! I wish I had 1/100th of his talent. I find it so interesting how people's perceptions of color differ. I have a friend who always refers to the colors in my house as 'cool' as I have greens, blues, aquas throughout. I also have golds, warm whites and wood. My perception of blues and greens go back to when I was young coloring pictures – adding blues and greens to me was adding the colors of summer which in my mind was 'warm'. So when I see blue and green, that's still what I associate them with – colors of a warm blue sky, and green growing things. You're so right! People sometimes say photos of my home look "cool" and I even had someone question whether that was appropriate for a cold climate – I should have colours that "warm me up". But to me the greens and blues don't feel cold. They feel full of life and remind me of summers spent outside. I am so happy to hear someone else feels that way about this palette. And it's so true what you say about the woods warming it up. 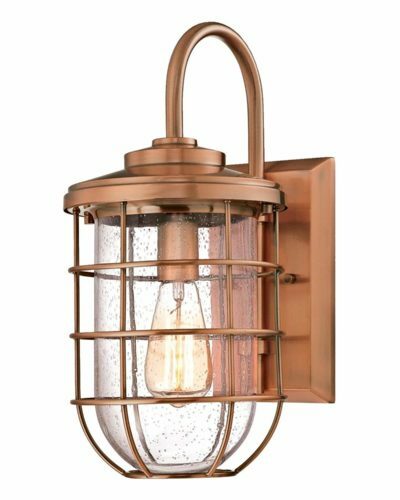 I love blogging because it reminds me how many people love aqua! I'm happy to see green dominating a lot of blogs and design magazines because it's a runner up for me in the "favorite colour" game, but I do miss seeing more aqua. The world is moving on – Emily Henderson even deemed it "out," lol. SO happy to hear there are other folks who love it too! 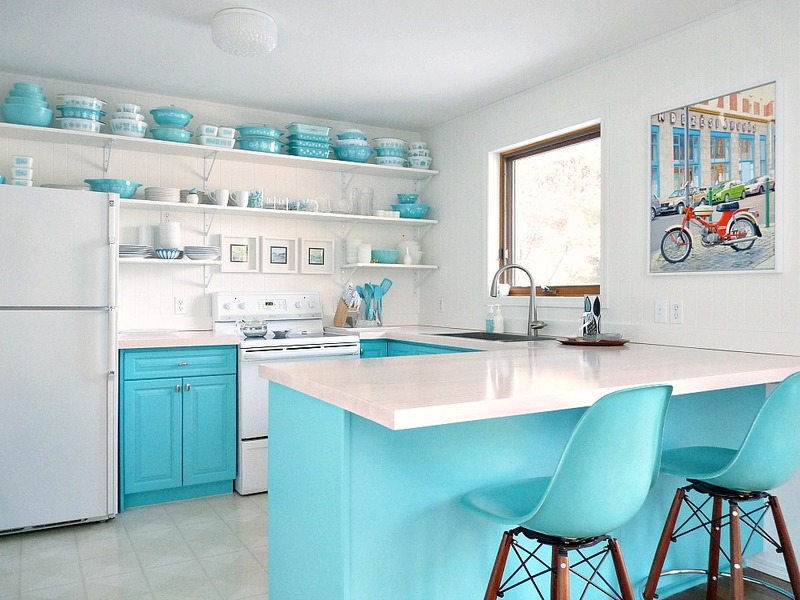 what shade of aqua/turquoise did you use in your kitchen on the cabinets?